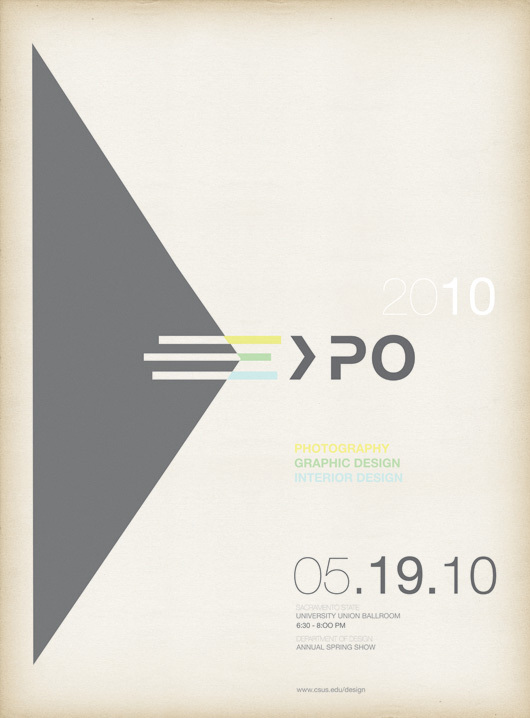 Expo Designspiration + Raoul Ortega | Shelby White - The blog of artist, visual designer and entrepreneur Shelby White. 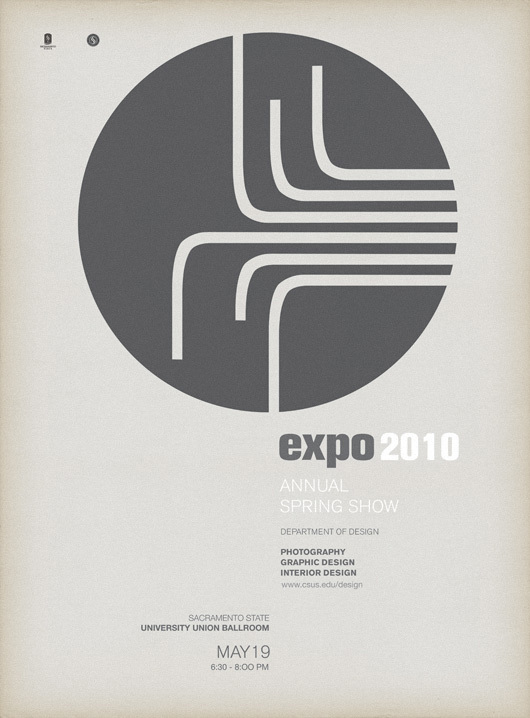 The Seattle World Fairs and Century Expositions have been inspirations to me in the past, so when seeing this nicely done poster from Raoul Ortega, I couldn’t help but stop and read his post. 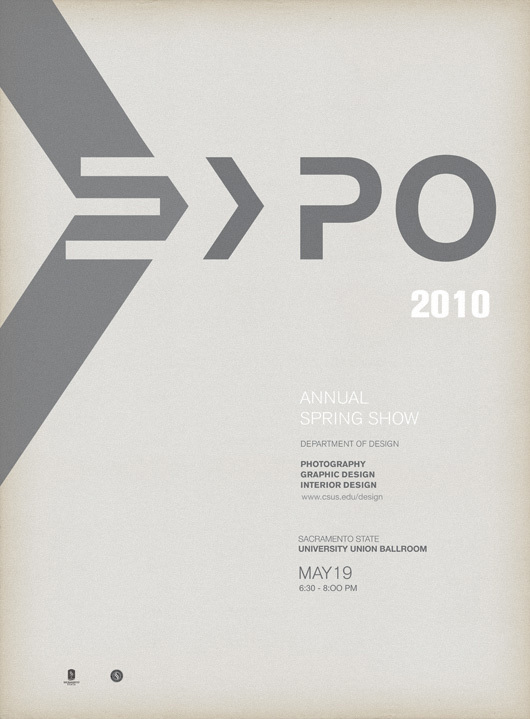 Raoul’s use of the central ‘EXPO’ mark make this poster work very well. See more pictures and his post here. 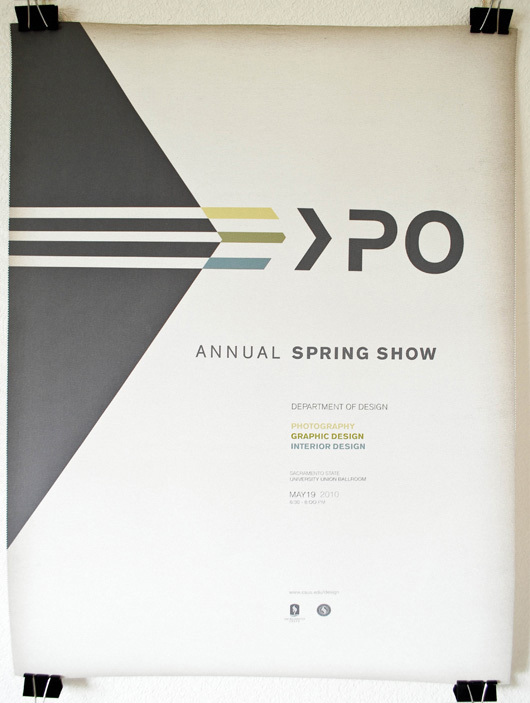 I love the posters and all, they’re beautiful, really. But, doesn’t the half ‘X’ seem backwards to everyone? The right edge of the ‘E’ makes the one ‘X’ side definition, while the grey half-X should make the other, but it’s flipped. The reason why I decided to present the X that way was to reflect the shape of the larger triangle plane and edge of the E to further establish the forward motion. In my early concepts I did try portraying the X in the correct way but it seemed to create a merging point for the overall composition which wasn’t necessarily expressing my theme of ‘moving forward’. Good call though. I knew that my design decision would come with a consequence slightly sacrificing logic to gain aesthetic. Thanks for the post again Shelby I really appreciate it. Looks great! i agree with raoul’s decision. fashion over function! I believe these posters are awesome. Definitely got the point across with movement and I definitely like the way you used the X and the E. I am definitely of fan of these. Awesome post shelby. How are the projects going? I agree eith decision by Raoul on the way he pursued his thoughts & covictions to take the chance to be different. It shows creative imagination & courage. Brighter days and a beautiful future lie ahead for this young artist………… UNCLE A……..